Best Stylo is all set to make your mood pleasant by giving you detail information on Top Pakistani designer bridal frocks 2018 wedding dresses. Latest bridal dress collection has been introduced by the leading designers at different platforms. Most of the times they take part in fashion shows and also show their marvellous masterpieces in different fashion weeks all over the world. These frocks are famous among the young girls all-round the year. The most exciting thing about bridal frocks is the combination of unique hues with artistic cuts which embellish a simple plane piece of cloth with a fabulous look. There is no comparison of our talented Pakistani designers. Their hard work is not meant just to cater the needs of clients but also to provide the best end product in accordance with our cultural norms and values. If you want to enjoy the compliments of people get your dress customized by the amalgamation of best tailoring perfection. It is the most important thing to make on point. Here is a complete guidance regarding the selection of latest styles of wedding frocks. You can wear it to your wedding and also as guests. Famous designers who master of this art are producing breathtaking designs i.e. Tena Durrani, Hassan Sheheryar Yasin (HSY), Maria B, Sana Safinaz, Zara Ahmed, Nomi Ansari, Deepak Perwani and Umer Sayeed. They experiment with different ideas and come with wonderful and special collections every time. Every girl keeps on searching bridal wear on the internet to get a best one design for her big day. If you are also one of them, wait! Top Pakistani designer bridal frocks 2018 wedding dresses are at the point to serve your choice. Wedding day brings a lot of happiness to girl’s life. She has many dreams about her up upcoming beautiful days and wants to make every moment of her big day to be memorable and everlasting. Every bride is conscious about her wedding day look thus, she does not only prefer perfect wedding dress but also eye-catching hairstyle, jewellery, sandals and other important things also need to be perfect. So these must go well with her personality and comfort level. The elegant wedding frock dresses include a variety of frock styles according to latest fashion trends and demands of young girls for their big day. They like to wear them on their mehndi function, Barat day and also on walima reception. There are various styles of frocks famous among young ladies. What special bridal frock has for you? Bridal frocks with the body are most commonly worn by girls of the subcontinent and are liked by girls of every background. Traditionally these go with heavily adorned dabka, zari or tila work on the waist. 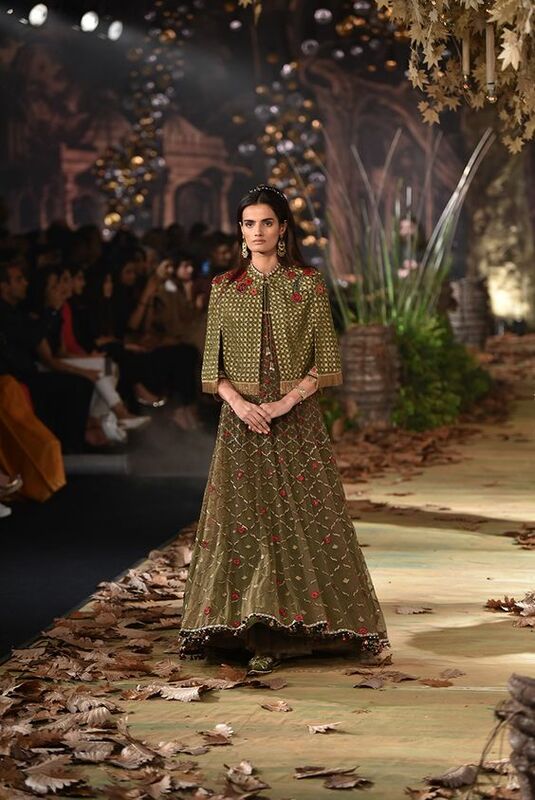 Umbrella frocks generally named as Ankali frocks with wide flares is the best example of such style for having a pure Mughal look. What a mesmerizing traditional look with big nose pin! Modern and stylish long tail frocks are also now in the focus of our beautiful brides to be. They like to have a great royal look and feel much special with them. Skyscraper heels add confidence to accompany their handsome grooms. 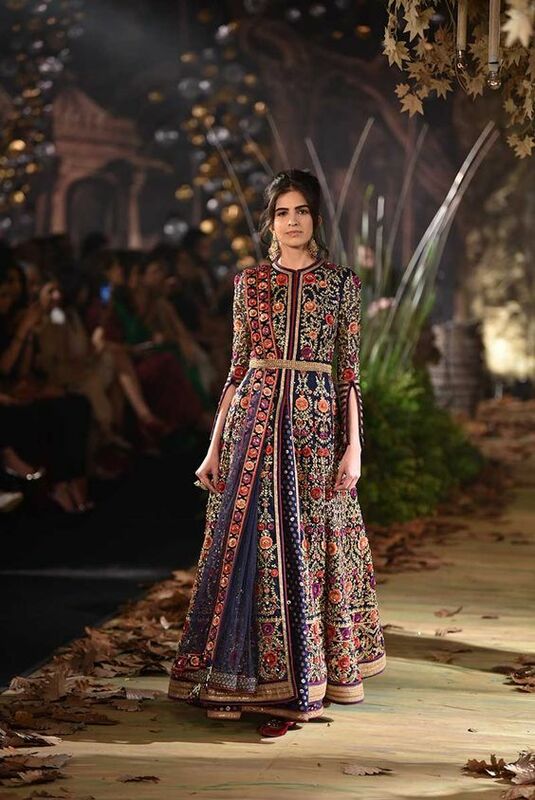 Frock can be paired with churidar pajama, sharara and also with garara. Bridal frock must of such design and style that would make people remember it for years or even beyond. Frock colour matters a lot. Careful selection and contrast of maroon, golden, purple, silver, beige, orange, white and peach colours look so beautiful. Bright yellow and bottle green with a tint of orange and hairdo with a beaded fishtail look just awesome. These colours add liveliness and freshness to the celebrations on mehndi dance floor. What else Embroidered Frock would have for you? Frocks are usually embroidered or have a decoration with Moti, beads, diamondties, laces and fancy patches at the bottom. 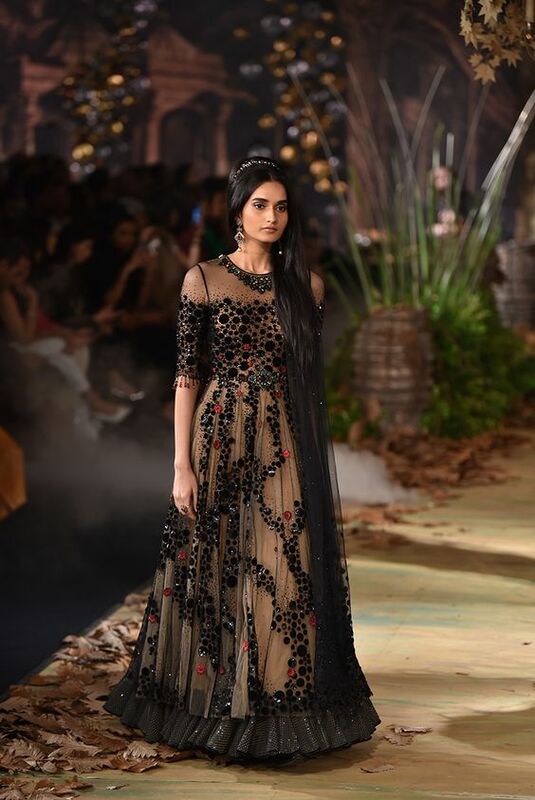 Recently many designers have introduced cutwork at the daman which looks so different and lavish. Decent combination of these items can transform your frock into perfect, stylish and up to date attire. Long chiffon or net dupatta with embroidered boundaries can be a good choice to pair with frocks. Some light motifs on dupatta corners with heavy frock gives quite a cosy feeling. It can be of matching or contrasting colour with a frock or with embellishments, depending on the overall look. 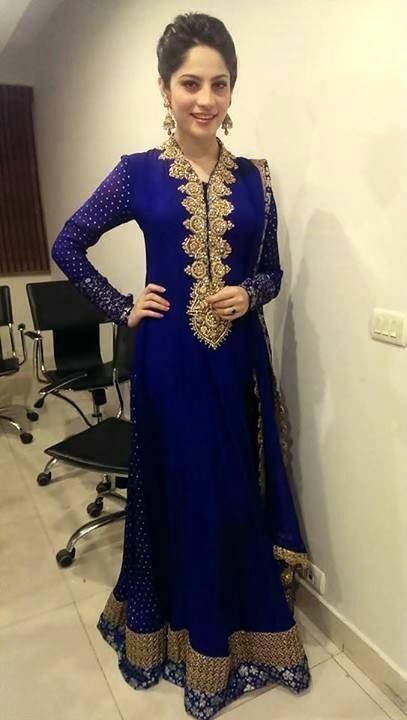 The combination can be light dupatta with dark frock or dark coloured dupatta with light frock according to choice. If you like these beautiful outfits you can also select them on any of your wedding function. After looking at these pictures you will have a better idea to choose the style of frock for a wedding function. Elegant, beautiful and stunning frock designs are best to wear on your big day because they will best suit to give you chic look. The fusion of some unique cuts makes them more special and attention-grabbing. Have look at best wedding frock style dresses 2018 and enjoy! Don’t forget to take selfies with your friends and family.